In November we held our annual Non-School Uniform day in aid of the charity Children in Need. 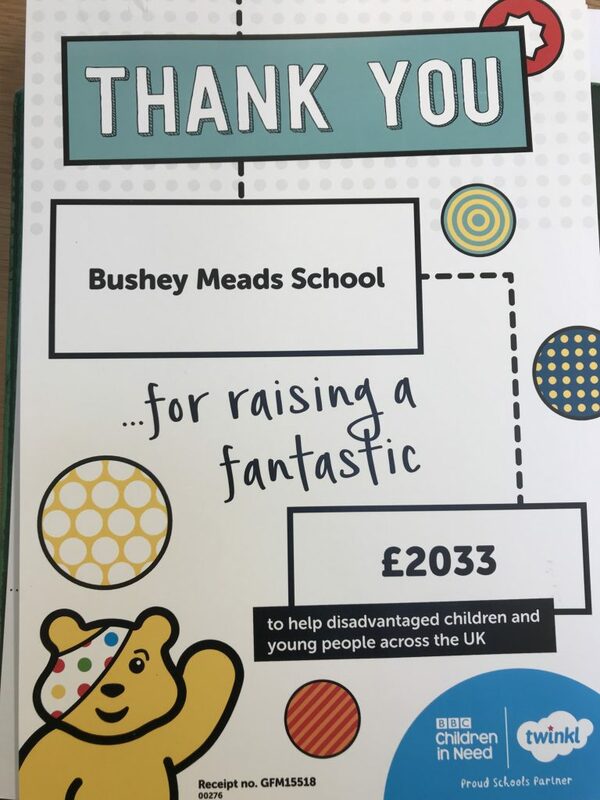 As a school we raised over £2,000 pounds for this fantastic cause and would like to thank all parents, carers and students for their generosity. We have a further two Non-School Uniform days planned for this term. The next event is planned for Friday 15 February and is in aid of purchasing equipment for students to use in the new PE building as part of a Multi-Gym. If students wish to wear their own clothes on this date they will need to pay £2 via the online payment system. The second event is taking place on Friday 15th March in aid of Comic Relief.